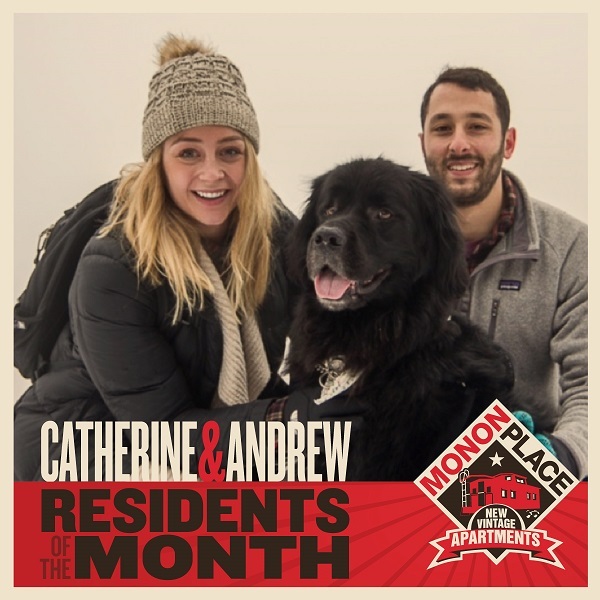 Meet Andrew and Catherine and learn why they love living in the Broad Ripple community! What do you love most about living in Broad Ripple? The vibes and food here! We love going outside and seeing so many others on the Monon Trail, which is located right by our apartment community. Also, there are so many dog lovers in this area, something we can relate to! What made you choose Monon Place as your home? The close proximity of the Monon Trail. We love being in between Broad Ripple Avenue and 54th Street. What is your favorite feature of your apartment? The open concept and our balcony! Our favorite thing to do after a long workday is open up a bottle of wine and sit on the balcony and read. I'm fortunate enough that "work" and "fun" are basically the same thing. I work for the Indianapolis Symphony Orchestra, so I enjoy attending the ISO performances and staying involved in the Indianapolis community. Besides that, I spend most of time running on the Monon, going to the gym, and coming up with new nicknames for our dog, Rosie.